Support Our Paras Racing is pleased to confirm that Max Coates will pilot the team’s second race car for the remainder of the 2015 Dunlop British Touring Car Championship. The 21-year-old, from Scorton in North Yorkshire, will partner Zurich-based Derek Palmer, the 28-year-old from Lesmahagow, in the team’s two Infiniti Q50s. 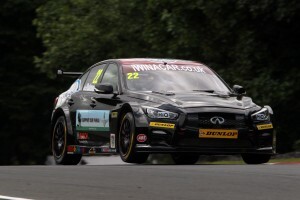 Coates will make his BTCC race debut on his ‘home’ circuit at Croft this weekend (June 27/28). The Mallory Park-based team’s race cars are prepared by injured ex-servicemen from the Parachute Regiment, with all team profits being donated to Support Our Paras, the official Regiment charity. 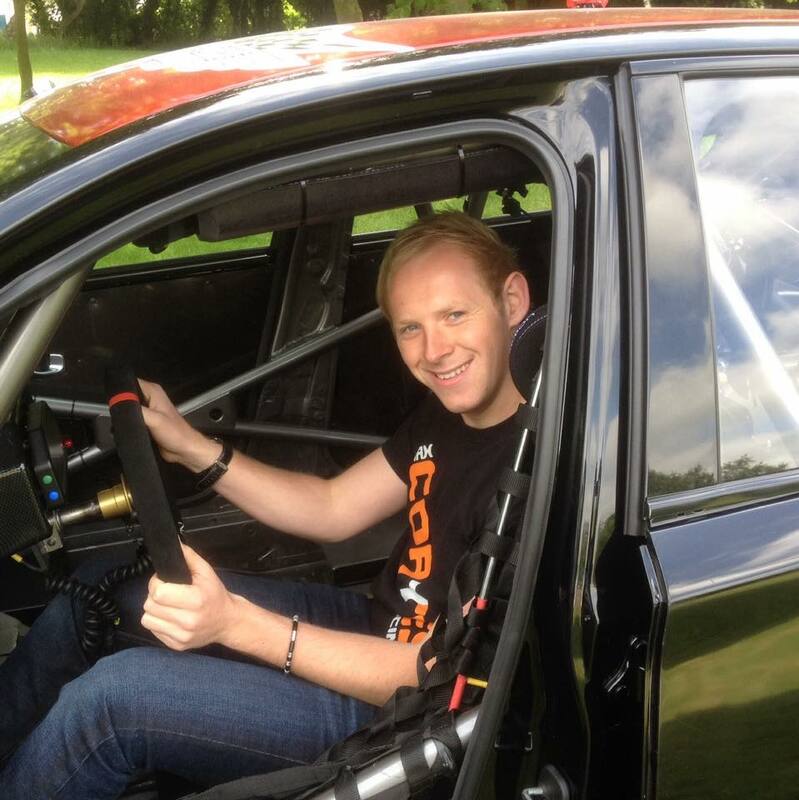 “I’m over the moon to be joining Support Our Paras Racing in the BTCC,” Coates said today. “The structure of the team is unique and it really is all about supporting the Paras. It’s an honour to represent the Paras on track. The guys are learning a lot very quickly, but they have teamwork and desire to succeed in abundance. “I’m under no illusion as to how hard the racing will be. This is the first part of a longterm plan with the team and I am very excited about opportunities both now and in the future. 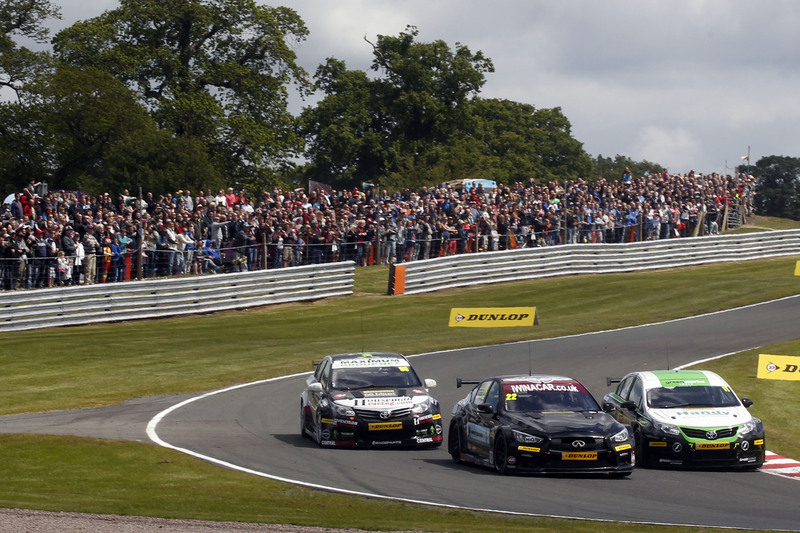 The talented young Yorkshireman has already impressed during appearances in a number of support races which form part of the BTCC race weekend. After competing in karts at national level, Coates graduated to the Ginetta Junior Championship, before stepping up to Ginetta G50 and the Ginetta GT Supercup in 2012. He immediately impressed, racking up five wins in the opening nine rounds which put him in contention for the title. Unfortunately, budget constraints forced him to withdraw from the running, before returning to win again at Croft. He also contested the final round at Brands Hatch in a Ginetta G55. In 2013, after an eight-month layoff, Coates returned to compete in one round of the Ginetta GT Supercup, again at Croft. After qualifying fifth, he duly turned this into three top six finishes, including a podium in the third and final race of the weekend. 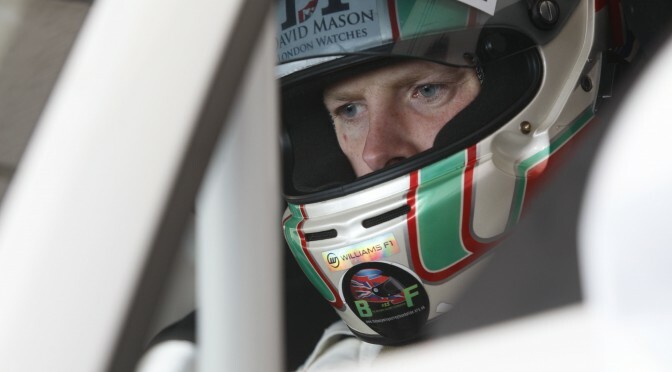 Last year, Coates made two ‘guest’ appearances, one in the Porsche Carrera Cup GB, and the other in Ginetta G55. His Porsche outing at Donington saw him again show his versatility, finishing fifth and sixth, while his Ginetta race at Croft resulted in another top six finish. Coates’ appointment was greeted by Support Our Paras Racing team principal, Derek Palmer Snr. “I’m delighted to welcome Max to the team,” he said. “We know what he’s capable of, and he has bags of potential which we’re confident we’ll be able to nurture and develop. And SOPR operations director, Jim McGill, believes the decision to place Coates in the second car, which will carry the Yorkshireman’s preferred No71, will finally allow the team to establish a period of stability. “Placing Max in the second car is a significant boost for the team, and will allow us, finally, to focus on bringing stability to the fledgling team,” McGill said. “It’s widely known the challenges we’ve faced throughout the opening four BTCC race weekends, but now we can concentrate on developing a unified team which has two young drivers with bags of potential. “It has always been my goal to have two young drivers in the cars who will grow and develop with the team as it establishes itself and becomes more competitive. “We have always acknowledged the BTCC is a tough championship, and we accept we’re serving our apprenticeship in the full glare of publicity. Derek Palmer bagged a 1-2-3 finish for Support Our Paras Racing today when he scored the team’s first British Touring Car Championship points. Palmer, racing for the first time this season as an Independent — and watched by the Red Devils who dropped in — delivered three impressive drives at Oulton Park, notching points in all three races. After scoring his first point after finishing 15th in class in the opener, Palmer improved to 14th in Race 2 — registering two points — before going one step further in the day’s final, scoring three points for 13th. This was the first weekend Support Our Paras Racing had raced since Infiniti withdrew its backing for the new team. The Mallory Park-based team’s race cars are prepared by injured ex-servicemen from the Parachute Regiment, with all team profits being donated to Support Our Paras, the official Regiment charity. It was a day of notable firsts for the fledgling team. Not only did Support Our Paras Racing score its first 19 points in the Independents Team Trophy, but Palmer took three podium finishes in the Jack Sears Trophy for BTCC rookies. After finishing third in the opening two races, Palmer was second in the day’s final race. He now stands fourth in the race for the prestigious Jack Sears Trophy, just 18 points off third. And Palmer was delighted with his, and the team’s performances throughout the weekend, especially in the day’s final race. “I’m very happy,” the 28-year-old admitted. “The race pace is significantly improved, and we can now comfortably mix it with the guys in the midfield. I struggled a little bit to bring the tyres up to temperature at the start of Race 3, but overall I’m really happy: our pace is actually there now. “The pace in Race 3 was mega. I managed to keep Rob Collard — a BTCC race winner — behind me for a few laps, which was really encouraging, and showed how we’ve improved our pace. That was a nice feeling. “I flat-spotted the tyres on Lap 1, so I was driving with a flat-spot the whole race. It was getting worse and worse, so I was happy it lasted to the end. “We’ve now established a new baseline for future development. This weekend has been massive for us, and begins to show the true potential of the car. *Support Our Paras Racing is back in action on June 27/28 at Croft. We are pleased to be able to announce that our Guest Speaker for this year’s Charity Dinner will be Martin Hewitt. Formerly a commissioned officer in The Parachute Regiment, Martin worked on operations and training exercises in the Middle East, Africa, Europe and North America before being shot in Afghanistan in 2007 leaving his right arm completely paralysed. Since leaving the army, Martin has made the record books several times as Captain of the Combined Services Disabled Ski Team. He has represented Great Britain in the Paralympic World Championships competing in Downhill Ski racing. 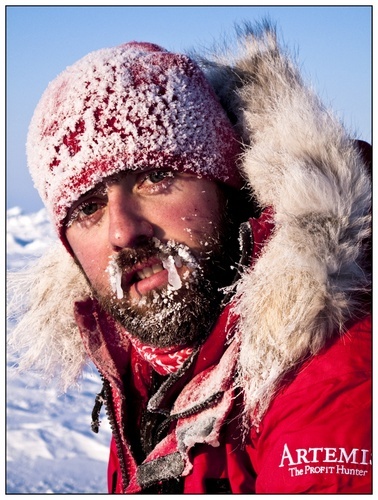 In 2011, Martin was part of a team that walked unsupported to the Geographical North Pole along with HRH Prince Harry and in 2012, he climbed Mt Manaslu 8163M, Mt McKinley and led a team on Mt Everest 8848M. Martin is now a Managing Director of Fieri Leadership and Development. Fieri specialise in developing teams and leaders that operate under high pressure in often hazardous environments. Martin is currently developing multiple teams to establish several world firsts to complete the Adaptive Grand Slam, summiting the 7 highest peaks on the 7 continents and walk unsupported to the North and South Poles. Martin is a regular presenter on overcoming adversity, leadership and team development, and we look forward to welcoming him to the HAC on 14 July. We were delighted to hear that one of our younger supporters has been going from strength to strength whilst raising awareness of SUPPORT OUR PARAS. Three years ago, when asked to write about their heroes at school, 12 year old Coan Gildart chose to write about Cpl Mark Wright GC, who was KIA in 2006. Coan’s story was featured in his local paper and copies were sent to us, and Cpl Wright’s parents. Last year, Coan competed in the regional boxing championships, with Cpl Wright’s parents among his supporters when he was in the final. Up to now, Coan has had 14 bouts, winning 12 of these, and he went on to win the North West England title in April 2015 for the second time, becoming one of very few junior boxers to win it for two consecutive years. Last month he also won the Merseyside/Cheshire title and just last week he won the Midlands title and England quarter final. Coan will be boxing in the All England National Schoolboy Semi-Final next weekend in Worcester. 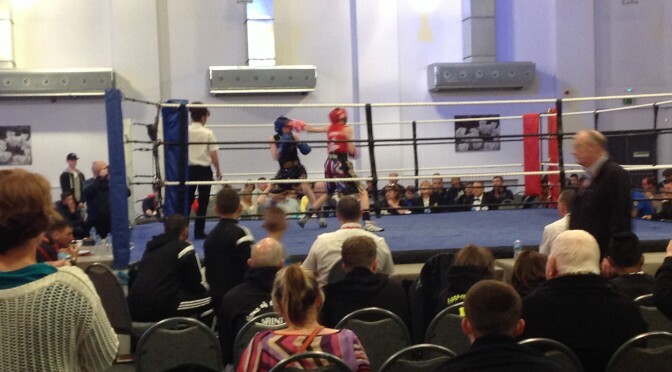 Coan boxes with the SUPPORT OUR PARAS logo on his shorts and also has Utrinque Paratus embroidered on his waistband. He has been supported at many matches by members of the Regiment, both serving and veterans, and we are grateful to Coan for spreading the word about the charity. We wish Coan all the very best for the semi-final on Sunday. 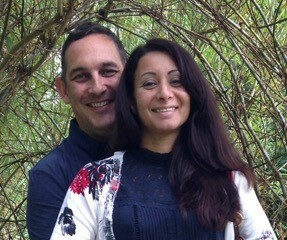 Kertrina and Barry Jones, long-time supporters of the charity have decided to take on the Kilimanjaro Challenge – their biggest challenge to date! As well as both completing six PARAS’10 events, Kertrina has also done two half marathons and Barry has done one half marathon, all for the charity. In 2014, they attempted the Three Peaks challenge, but unfortunately Barry ended his challenge just short of the Ben Nevis summit due to injury. Kertrina only managed to complete Ben Nevis and Scafell Pike due to travel and work commitments, so naturally, they are re-attempting all three again this June! They will be doing the PARAS’10 again this year, with Barry attempting the double. To Kertrina’s utter disappointment, she will only be able to complete Catterick since she will be busy at university in July as she completes her Masters. Their activities for 2015 don’t stop there. Barry will be doing the Fan Dance in July, on their anniversary, with Kertrina cheering him on. In October, they will be swapping roles as Kertrina completes another half marathon, with Barry cheering her on. 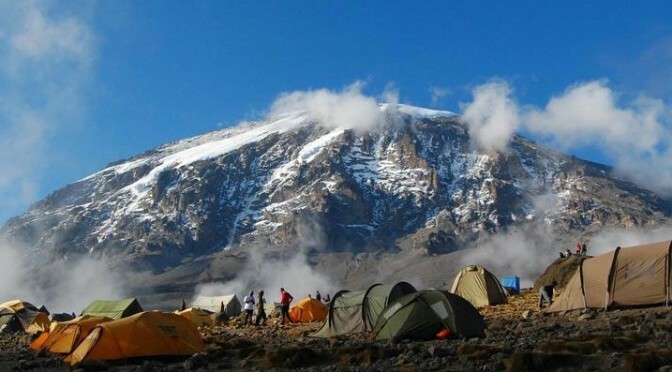 Their Kilimanjaro Challenge will be in July 2016, so there is every chance that they will book something else in prior to that, but if you would like to donate to their Kilimanjaro Challenge, you can visit their JustGiving page here.